Birds offer endless fascination for those of us patient or lucky enough to catch a glimpse. 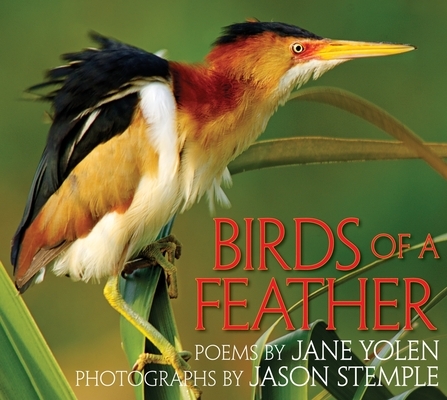 Fortunately, award-winning writer Jane Yolen and photographer Jason Stemple once again give readers the chance to closely observe a brand-new flock of these creatures in expertly rendered poetry and photographs. Each poem and picture combination beautifully and thoughtfully captures both bird and a moment of time. Brief facts about each bird, reviewed by an ornithologist, are included. Jane Yolen has received many awards for her writing, including the Regina Medal, the Society of Children's Book Writers Award, the Christopher Medal, the John Burroughs Young Readers Award, and the Kerlan Award from the University of Minnesota for the body of her work. She lives in St. Andrews, Scotland, and Hatfield, Massachusetts. Jason Stemple is a freelance photographer who provided the photographs for An Egret's Day and A Mirror to Nature by Jane Yolen. He lives in Charleston, South Carolina.